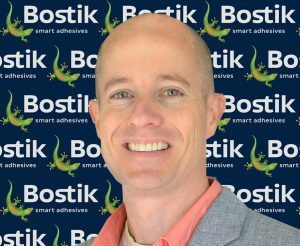 Bostik, Inc., a world leader in specialty adhesives and installation systems for building construction, has announced that Ben Aulick has joined its staff as Architectural Specification Program Manager. In this position, which is new to Bostik, he will be developing and maintaining the firm’s strategic new Architectural & Design Program, which is focused upon increasing specification of Bostik products. Ben Aulick, who has been in architectural sales since 2005, comes to Bostik from ACO, where for the past six years he was involved primarily in selling high-tech drainage systems to architects and engineers. He will be based in Charlotte, North Carolina.